Benjamin Franklin said there are only two certainties in life: death and taxes. If there’s one more thing we can be certain of on April 15, it’s the airlines continuing to spread misinformation about how America’s airports are funded. 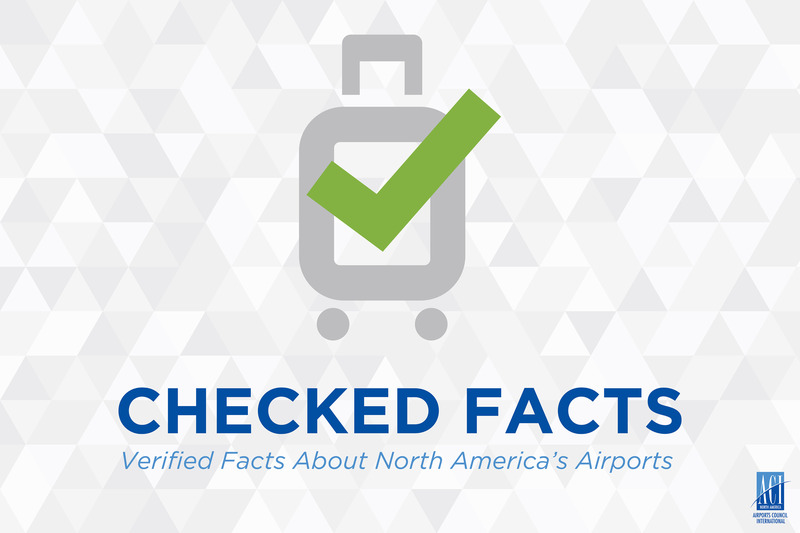 It is common misconception that airports are funded with taxpayer dollars. In reality, infrastructure projects at airports in the United States are funded through three key mechanisms: federal grants through the FAA’s Airport Improvement Program (AIP), the Passenger Facility Charge (PFC) local user fee, and tenant rents and fees. No matter how many times the airlines repeat it, the PFC is not tax. The PFC is a local user fee that airports rely on to repair aging facilities, improve aviation safety, improve the passenger experience, create more airline competition to lower airfares, and accommodate rising demand. With nearly $130 billion in infrastructure needs over the next five years, the PFC is the cheapest and most sustainable option available. Here’s why: The PFC empowers those who know the most about the local airport needs, infrastructure investments, and safety upgrades to make the best decisions for the airport while balancing the passenger’s interests. The PFC is collected locally and, unlike other aviation-related fees and taxes, stays local. It never gets passed to Washington, D.C. The PFC is the only funding tool that maximizes this kind of critical local control. The airlines’ erroneous “tax” argument doesn’t hold water. Today’s modern conservative movement is diverse and often fractious, so it can be hard to find unanimity on almost any issue. But when it comes to support for the PFC, conservative think tanks and advocacy groups speak with a clear voice in support of this quintessential user fee. The Competitive Enterprise Institute, FreedomWorks, Heritage Foundation, Heritage Action, Reason Foundation, Council for Citizens Against Government Waste, Taxpayer Protection Alliance, and Citizen Outreach are some of the leading anti-tax and free market organizations that agree the PFC is a local user fee. User fees represent a better way to pay for infrastructure. Under this system, the people who actually use the airport bear the burden of upkeep and modernization. That is the most fair and equitable way to fund it – passengers who don’t use the airport will never be asked to pay for it. Americans certainly deserve to keep as much of their hard-earned money as possible. How else would they be able to pay all those exorbitant airline bag fees? Nashville is on fire – there really is no other way to describe it. Always a great place to live, the city is now receiving an unprecedented level of attention from all across the country and beyond. National Geographic Traveller U.K. included Nashville on its “Cool List,” Business Insider named Nashville as one of the “33 Trips Everyone Should Take in the U.S. in 2018,” Forbes “The 20 Happiest Cities to Work in Right Now” list included Nashville, and the lists and accolades just go on and on. The word is out, and the world is coming here to see for themselves. In fact, according to recent U.S. Census estimates, 94 people are moving to Nashville every single day. As aviation industry professionals, you know how this type of popularity and growth can put major demands on transportation facilities. The challenge is to anticipate and address those demands so as to best serve the aviation needs of the community. The story of passenger growth at Nashville International Airport (BNA) has followed an irregular path. Nashville’s current terminal opened in 1987, built to accommodate the hub then-operated by American Airlines. Driven by that hub activity, BNA grew to serve more than 10 million passengers by 1992, though only 15 percent of which were origin and destination travelers. In the next year, however, American began reducing operations at BNA and ultimately “de-hubbed” from our airport, causing a steady decline in overall passenger traffic. As it turned out, the high water mark of 1992 would remain the passenger record at BNA for the next 21 years. But the city and region continued to prosper, solid and steady, and passenger traffic grew likewise. With the end of the recession in 2009, Nashville boomed and growth surged, along with steep increases in air travel. Since then, we’ve been on a tear. By 2013, BNA finally surpassed that 1992 passenger record, and we would add an additional million passengers or more in each of the following five years, reflecting annual growth rates as high as 11 percent. Most recently, in our Fiscal Year 2018, BNA surpassed 14.9 million passengers, a ten percent increase, with nearly 90 percent origin and destination traffic. This torrid growth required a response. Today’s passenger numbers are years ahead of the forecast found in our last master plan. It was clear to our Board of Commissioners and executive team that expansion plans needed to be finalized – and accelerated – to accommodate the region’s aviation needs. So in 2016, after additional passenger analysis and forecasting, research and planning, we launched BNA Vision, our dynamic growth and expansion plan for Nashville International Airport. Upon its completion in 2023, BNA Vision will include a parking and transportation center, a new Concourse D, an expanded central terminal, an airport administration building, a possible hotel and transit connection, and a state-of-the-art International Arrivals Facility, among other features. This billion-dollar project will be completed in phases, as to limit inconvenience and allow the airport to continue all operations. Current projects under construction include a terminal garage and transportation center; a second garage with an airport administrative office complex on top; Concourse D and ticketing wing expansion; and a terminal apron and taxilane expansion to accommodate the construction of our future International Arrivals Facility. Our focus is on expanding and renovating BNA, and we’re working at a swift pace to add more than 500,000 square feet to our terminal. But the cranes and construction only tell half the story. Expansion for us also means adding air service to make certain we are taking Nashvillians to as many places as we can in the world while also bringing the world to Nashville. In May of this year, transatlantic service returned to BNA after a 20-year hiatus. The long sought-after and highly anticipated service to London’s Heathrow Airport via British Airways was largely made possible thanks to the support from our community, business leaders, state and city officials and our Board of Commissioners. This new services truly opens Nashville up to the world with Heathrow serving as a gateway to so much of Europe and Asia. As our airport grows, and as Music City expands its increasingly recognized brand, we anticipate adding more international service to meet local demands and that of travelers worldwide. And while we bring these dramatic changes to our airport facilities, it is vital that we maintain the sense of place and top-notch customer service our travelers expect. Nashville is truly a unique city – from the extraordinary food scene to the live music day and night for which we’re known. It is important to us that the moment you step foot off that plane you know you’re in Music City. This is top-of-mind with every decision we make during construction – the warm and welcoming vibe, the concession offerings, and especially the music. Our live music in the terminal program recently celebrated its 30th anniversary and touts more than 700 performances a year in six performance areas throughout the terminal, and we plan to add more. Nashville is southern hospitality at its best, and we want to make sure those values remain embodied in our approach to customer service. So we’ve taken on a big challenge – expand the airport while maintaining that “Nashville feel.” We’re confident we will accomplish our goals thanks to the thousands of our hardworking colleagues and partners from all over Middle Tennessee. These are the people who make the aviation industry go. The people who show up every day, arriving before the sun rises and working until long after it sets, to open our storefronts and music stages, provide passenger safety and make sure our baggage systems are running while tackling so many other tasks necessary to make a modern airport function. Because of their commitment and dedication, we know the best days at BNA are in front of us. And in this fashion, we’ll provide our world-class city with the world-class airport it deserves. 2018 represents a great milestone for Airports Council International-North America as we celebrate our seventieth anniversary as the Voice of Airports in North America. Anniversaries like this provide a great opportunity to reflect on our past, celebrate our present and look ahead to the future. As you know, air travel – and the world – has transformed immensely over the last seventy years. And our industry’s evolution along with it hasn’t always been easy or certain. That’s one of the chief reasons ACI-NA exists. Then in a post-war world with a growing economy, air travel was increasingly accessible to the masses. As we entered the golden age of travel, airports faced many of the same challenges we see today, including burdensome government regulation, infrastructure and investment needs, and airline decision making. Realizing that there was power in the collective, nineteen founding members convened in New York in 1948 to establish a body that would bring airports together in addressing the challenges and issues of an evolving aviation industry. From there, our journey took off as the Airport Operators Council. Looking back, this industry has overcome significant hardships and setbacks. From economic ebbs and flows to airline industry deregulation and airline consolidation to the September 11, 2001 attacks, this industry has always had to be nimble and responsive to the challenge of the day. Your association has had to be nimble too. In the past seventy years, our name has changed from Airport Operators Council to Airport Operators Council International, and now to Airports Council International-North America in an effort to make room for our ever growing U.S. and Canadian membership and global connections. While the issues of the past may sound familiar today, so much has changed. Today, airports operate more as businesses than they ever have before. They are becoming cities unto themselves. The current landscape presents many unique challenges that require solutions. Today’s airports are not your father or grandfather’s airport. We are seeing a change in the way technology affects air transportation across the world. Meeting the demands of passenger and cargo growth has never been more important. Our airports must have the ability to modernize as they seek to accommodate rapid growth in passenger and cargo traffic. In the United States alone, airports need nearly $100 billion in infrastructure upgrades and maintenance in order to remain competitive with airports across the globe. Solving today’s challenges are essential in order to lay the foundation for the future. As such, airports around the world are actively working to enhance competition, create efficiencies through technology, and improve the passenger experience. There used to be more than thirty airlines that no longer exist because of airline consolidation. The future of the airport industry is at stake without an economic climate that fosters airline competition and choice. Competition has many benefits in our industry, which can be enhanced through more air service routes and more airline choices. In order to ensure communities in North America remain connected to the global marketplace, we are actively working to make certain our industry – airports and airlines – are as competitive as they can be. Our work in this important area will only grow in the years ahead. Technology will also be a large part of an overall improved and seamless passenger experience. Today, easiness is synonymous with technology. What new technologies can we use to our benefit? Biometrics is speeding up the boarding process for certain flights, and in a just a few years, all flights may be boarded with the scan of a face. It’s clear that we must focus on enhancing the passenger experience for a successful future. But these challenges are too big for anyone to handle alone. And that’s where your association comes in. Members always tell me the real value of ACI-NA comes through our ability to advance airport priorities in Washington and Ottawa, provide essential industry intelligence by keeping the pulse of the issues impacting airport operations, and foster industry collaboration by creating a forum to develop and exchange best practices. The rich history of advocating for policies and services that strengthen airports will continue as we reflect on our accomplishments and look beyond the horizon. 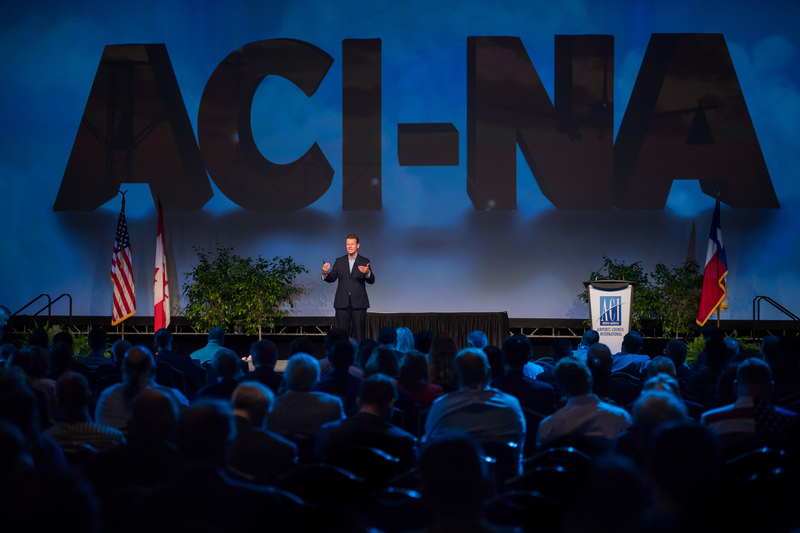 ACI-NA is only as strong as its members and their active engagement. Our team is proud of the members we serve because of the profound and positive impact they have on local communities across North America. Thank you for your leadership. Today, as we celebrate our seventieth year with a strong membership and transnational – even global with the establishment of ACI World in 1992 – reach, we recognize that there are obstacles still to overcome. We’re not done yet. We’re just getting started. Here’s to the next seventy years. 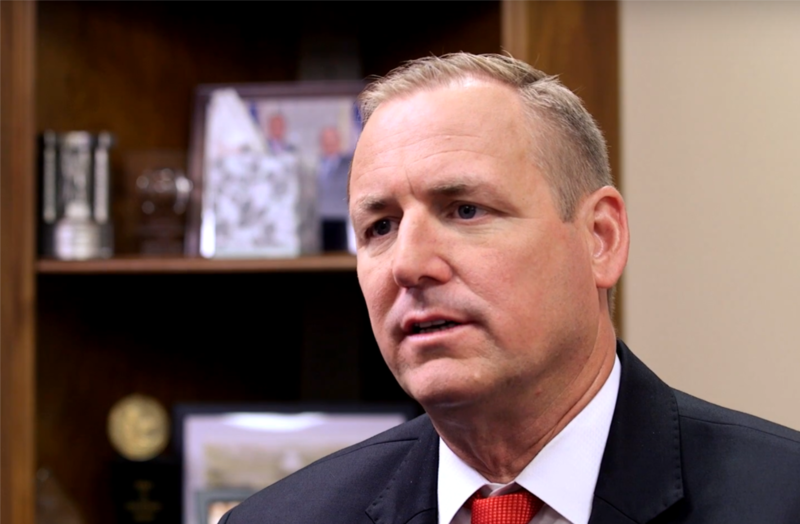 ACI-NA President and CEO Kevin M. Burke recently caught up with Rep. Jeff Denham, a member of the House Transportation and Infrastructure Committee, to talk about prospects for an infrastructure bill in Congress. Infrastructure Week, a week-long celebration of the vast network that supports – and moves – the U.S. economy, is taking place this week. ACI-NA’s Airport Infrastructure Needs Study details that U.S. airports have nearly $100 billion in infrastructure needs through 2021 to accommodate growth in passenger and cargo activity, rehabilitate existing facilities and support aircraft innovation. 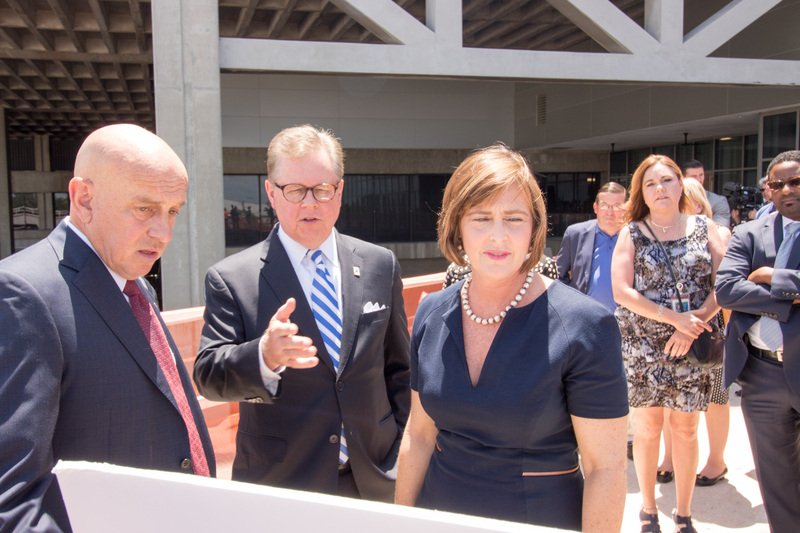 For Infrastructure Week 2018, Tampa International Airport hosted ACI-NA and Building America’s Future (BAF) along with members of the Tampa Congressional delegation for an event focused on the need for airport infrastructure investment. This video highlights the lawmakers and industry leaders who called for robust infrastructure investment during the event. in the field. The Indianapolis Airport Authority is one of the sponsors. “We focus on all jobs and careers in aviation, not just being a mechanic or pilot,” Lynch said. Students can learn more about how airplanes work, the role of the Federal Aviation Administration and what it takes to keep a terminal humming. The program – one week for younger children and two weeks for high-schoolers – ends with a graduation flight. Lynch has run his program in Charlotte, N.C., and Jacksonville, Fla., before moving to Indianapolis. Now in its 16th season, ACE has educated more than 10,000 students – and more than 7,500 have pursued careers in aviation. He has had six who now work alongside him as Republic pilots. The camp is just the beginning of the relationship with students. “At the end of the camp, we say, ‘What is your career path?’ and we help them move forward into scholarships and information on schools that have programs related to their interest,” he said. Silver Tsunami: Will Your Airport Sink or Swim? All it takes is one look around anywhere employees are gathered to see it: the unmistakable sea of silver hair. 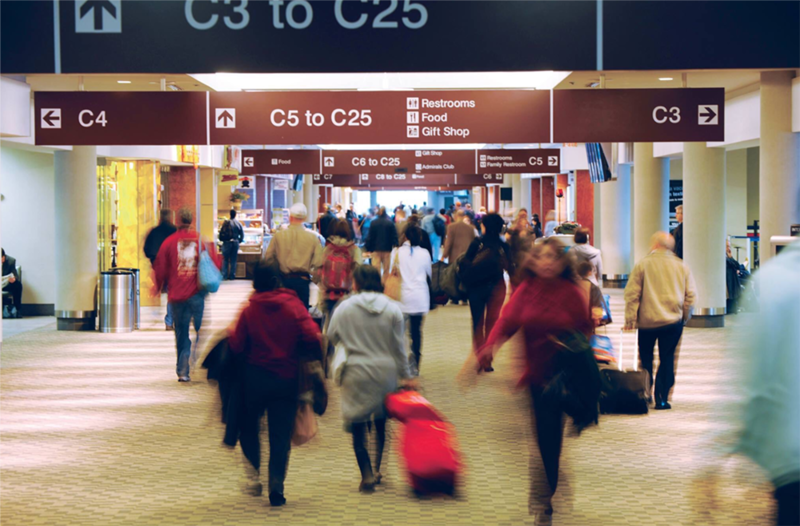 The workforce in airports – as in every industry – is graying. Some call it a “silver tsunami” and the wave of retirements coming could sink many an enterprise. The youngest Baby Boomers turn 54 in 2018 – meaning we’re only about a third of the way through this large generation hitting the typical retirement age of 65. For some airports, that is creating something of a talent drain. However, others have been preparing for this moment and have already come up with a plan – such as WCAA, the authority which manages Detroit Metropolitan Airport (DTW) and Willow Run Airport (YIP). refocusing on learning, leadership and, ultimately, succession plans throughout the organization. One of the biggest hurdles in succession plans comes due to significant demographic issues. As Baby Boomers plan to retire, the next generation – Gen X – is significantly smaller and can’t fill all the roles. Many of those standing in line ready to move up are Millennials – those born between 1981 and 1997. While Millennials are often knocked as challenging in the workforce – they want constant feedback and responsibility well beyond their experience, most studies show – Mario Rodriguez, executive director of the Indianapolis Airport Authority, sees it differently. “They are, bar none, the most talented and influential generation that this country has ever had,” he said. “If they get really excited about something, things happen. At IAA, that has meant creating an ascension plan. “It boils down to having our Baby Boomers provide the sort of wisdom that they’ve gathered over the years,” Rodriguez said. That is paying off at IAA, where a leadership development program starts early, before the talent has been hired. Seeing a career path is paramount to keeping them. IAA’s leadership development program moves Millennials into different careers where “they get a chance to have their voices heard. They get to work on things they wouldn’t normally get to work on. If you’re not looking at your current roster to assess who is ready to move up, understand that others probably are. “I have quite a few clients who are more than willing to look at talent ready for the next move, where maybe at their current firm, there’s a logjam at the positions and not much room for upward mobility,” Conlee said. Of course, as a public entity, airports don’t usually have the luxury of creating positions that allow people to step up while waiting for that logjam to break. And they likely can’t create a position for a strong outside candidate. No succession plan is perfect and, yes, there will be times when training is invested in someone who takes another job. But there are issues that the industry must address – and one is a lack of ability to move to the CEO role internally, McNamara said. “A huge percentage of CEO roles are filled by external candidates, by searches that are required to be conducted because the CEO leaves. Very few are based on internal promotions. You have to ask yourself why. For the most part, CEO and other C-level changes are event driven. Strategy is absolutely the place to start with succession planning, says Mario Diaz, Aviation Director for the Houston Airport System. “It’s not about moving people, but setting a strategy. In Houston, Diaz oversees two international airports—George Bush Intercontinental and William P. Hobby— as well as the much smaller Ellington. And this is where it comes back to knowing the long-range plan. People identified for leadership— particularly those groomed for senior level positions—should be trained in all aspects of the operation. Leaders also have to “make tough calls about individuals,” Diaz said. “Sometimes one of the hardest things is to recognize that you’re looking at the resume of an individual who doesn’t have a lot of opportunity to move up. means being honest about their hard and soft skills. “You have to assess the management assets that you have,” McNamara said. Investing in a new educational platform isn’t always the obvious first step in succession planning. But Mullally said the WCAA saw it as necessary, but just the first step. Collective bargaining agreements had to incorporate a pay-for-performance model. “The notion of doing development training with the benefit of a bonus has been really successful,” Mullally said. Managers evaluated employees on succession metrics, including career preferences and what development is needed in the next one to two or three to five years. “The manager is able to rate each employee on their interest in advancement, their interest and capabilities and their succession readiness timeline,” Mullally said. And it is paying off. In 2014, when the program launched, 28.6 percent of employees were identified as ready for the next level in a year or two, while 71.4 percent expressed interest. By 2017, 48.9 percent were deemed ready for promotion in the next one to two years, while 82 percent expressed interest. “This was not intended to pre-select someone for another job,” Mullally said. “It was to focus on where we want to develop employees based on their interest and their current capabilities. While the program was intended to be used throughout the organization, early on it revealed a high probability of loss in senior leadership. That meant a need to develop leaders quickly. A Leadership Academy was launched. Those who participate in the academy network throughout the organization and produce a Capstone team project. It has allowed the authority to test the talents in tackling issues such as what to do with surplus food. The Leadership Academy’s proposal was so innovative, it earned a state grant. A related program, a Supervisor Institute, also was launched. It works similarly, but is more streamlined. The robust training program is key to succession planning, Mullally believes.